Fox has been quietly busy over the last few days, unveiling plans for a 24-hour sports network that may be the biggest challenger to ESPN's throne, and adding new features to its mobile apps. Fox Sports 1 is scheduled to launch Saturday August 17th, loaded with content including NASCAR, soccer (Champions League, Europa League and World Cup in 2018 and 2022), weekly UFC fights, college football, college basketball and in 2014, pro baseball. The bad news? According to the LA Times, for Fox Sports 1 to live Speed TV will die this fall, while Fuel TV is expected to be replaced by Fox Sports 2 while Fox Soccer is turned into an entertainment channel. One tweak it will bring is the "double box" commercial format that keeps the game on while ads play, which is expected to be used frequently on the new channel. It will have a suite of studio shows to compete with the sports leader as well, and even a Fox Sports Go "mobile experience" on iOS, Android and the web with live video streaming and news/stats for authenticated subscribers. Speaking of "authenticated" cable and satellite subscribers, the broadcaster also updated the free Fox Now second screen apps on iOS and Android, adding access to stream full episodes of its TV shows wherever you are -- as long as you have a membership with a participating provider. That list currently consists of Mediacom and Verizon FiOS, but it may grow in the future. The Fox Now apps still have other features, with synced content, Twitter streams and behind the scenes info, so New Girl and Bones fans may still have a reason to check them out. 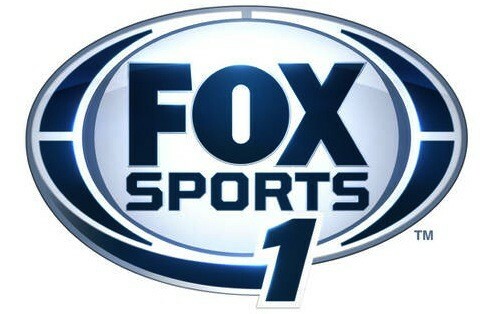 Today, FOX Sports Media Group (FSMG) makes television history, officially unveiling plans to launch a new, national, multi-sport network called FOX Sports 1. The announcement was made by FSMG Co-Presidents and COOs Randy Freer and Eric Shanks. Set to debut on Saturday, Aug. 17, just as FOX Sports kicks off its 20th anniversary year, FS1 is available in over 90 million homes, making this the biggest sports cable network launch in history, and one of the largest network launches ever. At the outset, FS1 boasts nearly 5,000 hours of live event, news and original programming annually. "Our 'secret,' admittedly a very poorly kept one, is now revealed," Shanks said. "Fans are ready for an alternative to the establishment, and our goal for FS1 is to provide the best in-game experience possible, complemented by informative news, entertaining studio shows and provocative original programming." A robust schedule of live events forms the backbone of FOX Sports 1's programming from Day 1, with college basketball, college football, NASCAR, soccer and UFC all on tap between launch and year's end. In fact, the schedule on Aug. 17 features live events morning, noon and night including a NASCAR Camping World Truck Series race from Michigan and "UFC on FS1 1" in prime time. In 2014, FSMG's new rights agreement with MLB takes effect, bringing regular and postseason games to FS1. "As a company we haven't been afraid to innovate and take well-calculated risks," Freer added. "We've devoted significant resources over the last few years to acquire and/or extend multi-platform rights with a wide variety of leagues and governing bodies well into the next decade, enough to give us a rich schedule right out of the box." More people consume and care about sports than ever before, so to satisfy that voracious demand, FSMG deems the time is now to launch FS1. For example, when FOX Sports launched in 1994, late Sunday afternoon NFL on FOX games ranked as the 26th highest-rated program on television. Today, FOX's national doubleheader games rank No. 1 for three years running. COLLEGE BASKETBALL – Dozens of exclusive prime time games on Monday and Thursday nights, plus Saturday and Sunday coverage of the Big 12, Pac-12 and Conference USA. COLLEGE FOOTBALL – Led by Notre Dame at Stanford, the Big Ten Championship Game and Pac-12 Championship Game (2014) on FOX, dozens of exclusive, live games from the Pac-12, Big 12 and Conference USA on Thursday nights and Saturdays; triple- and quadruple-headers on Saturdays; Saturday pre- and postgame coverage. MLB – Beginning in 2014, select League Championship Series and Division Series games; regular-season games over 26 Saturdays; live game-in-progress look-in show. NASCAR – Select NASCAR Sprint Cup Series races as soon as 2015; NASCAR Camping World Truck Series races; NASCAR Sprint All-Star race; all SpeedWeeks events leading up to the Daytona 500 including: Daytona 500 Qualifying, Sprint Unlimited at Daytona (2014, 2017-22) and the Budweiser Duel, now in prime time; NASCAR Sprint Cup Series and NCWTS Practice and Qualifying sessions; NASCAR RaceDay, providing pre- and post-race coverage; NASCAR Victory Lane, a weekly wrap-up show; and Race Hub, a daily mid-day studio show with the latest from drivers, owners and garages. SOCCER – Tuesday/Wednesday/Thursday afternoon coverage of the world's most prolific club soccer competitions, the UEFA Champions League and UEFA Europa League, and CONCACAF Champions League featuring many of the world's greatest and most successful clubs; the world's oldest soccer competition, the FA Cup; CONCACAF Gold Cup; CONCACAF Qualifiers, FIFA Women's World Cup coverage in 2015 and 2019; FIFA Men's World Cup coverage in 2018 and 2022; delayed matches in prime time; weekly magazine and highlights shows. UFC – Featured on Wednesday nights; live FIGHT NIGHTS through 2014, the first is scheduled for launch night, Saturday, Aug. 17; FOX event preliminary cards; UFC Tonight, the weekly authority for UFC news and information; 14 Saturday pay-per-view preliminary cards; hundreds of hours of library programs and events. In addition to live events and studio programs, FS1 introduces FOX SPORTS LIVE, a 24/7 news franchise providing around-the-clock coverage through regularly scheduled programs, hourly updates and an information-rich ticker that provides a network agnostic sports event television schedule. Thousands of hours of news programming are expected annually from newly minted sets including a nightly program at 11 p.m. ET or immediately following events. A morning newscast is expected to launch in January 2014 in conjunction with FSMG's expansive coverage of Super Bowl XLVIII. "Building credibility and trust with our audience is paramount, so naturally we'll provide the staples, like news, scores and highlights, but we'll do it in a FOX Sports way," Shanks said. "Just as FOX NFL SUNDAY reinvented the pregame show, FOX SPORTS LIVE breaks new ground in the way sports news is presented. We already have the home-team advantage of significant audiences watching local games on our 22 regional sports networks as a platform to launch our new national news." Complementing FS1's live events and news coverage at launch are several original programs, highlighted by RUSH HOUR, hosted by Regis Philbin, airing live weekdays (5-6 p.m. ET). Originating in New York City, Regis leads the charge along with a panel of sports professionals, celebrity guests and die-hard fans in this brand new, unpredictable, talk show. Following RUSH HOUR live every day is FOX FOOTBALL DAILY (6-7 p.m. ET), an extension of FOX NFL SUNDAY, the most-watched NFL pregame show for 19 straight years. FOX FOOTBALL DAILY, hosted by NFL on FOX personalities, including Terry Bradshaw, Howie Long, Jay Glazer, Gus Johnson, Erin Andrews and Mike Pereira, provides a daily dose of news, interviews and commentary from pro and collegiate football worlds. Both shows are expected to premiere at launch in August. Earlier this year, FSMG unveiled a unique and groundbreaking documentary franchise titled BEING:, a deep look into today's greatest athletes, teams and sports icons via unprecedented access. The first subject to appear this fall on FS1 is BEING: MIKE TYSON, the most feared man ever to step in a boxing ring. The multi-episode series is now in production. FSMG's experimentation with the "double box" commercial format, intended to keep viewers engaged throughout breaks, is expected to be an FS1 staple. Custom commissioned research conducted this year by Innerscope in concert with FOX Sports advertisers, along with data from IAG and Nielsen, demonstrates how the "double box" format adds value compared to the traditional full-screen break: IAG reported a 62% increase in brand recall; younger viewers are more likely to view "double box" commercials, according to Nielsen minute-by-minute ratings; Innerscope's engagement score for "double box" commercials ranked +13% higher than average; and viewers see advertiser logos more than three times longer in "double box" versus standard format. Launching together with FOX Sports 1 will be FOX Sports GO, a groundbreaking mobile sports experience for iPhone, iPad, Android devices, and web. FOX Sports Go will offer more than 1,000 live games and events from across FOX Sports, FOX Sports 1 and FOX Sports' 22 regional sports networks, as well as scores, highlights, news, stats, and analysis. The live games and events will be available to subscribers of participating cable, satellite and telco providers at no additional cost.